It’s early winter, but spring is the thing at the first free Royer’s Kids Club event of 2014. 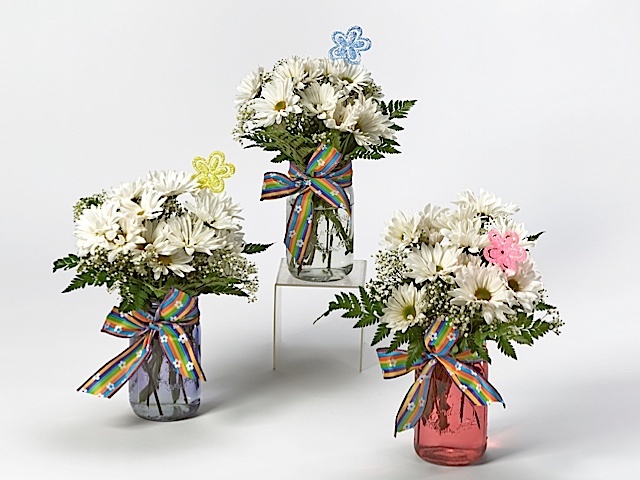 At all Royer’s stores on Jan. 18, children ages 5 to 12 will have an opportunity to create a daisy arrangement in a decorative glass jar as shown above. Participants also will receive a balloon. Time slots are available at 10 a.m. and 2 p.m. at 17 stores in Berks, Cumberland, Dauphin, Lancaster, Lebanon and York counties. For more information about Royer’s Kids Club, click here.